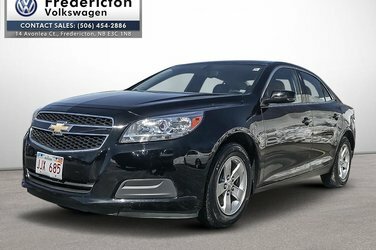 2013 Chevrolet Malibu LT 1LT 2.5L 4-Cylinder SIDI DOHC VVT FWD 6-Speed AutomaticLocal Trade, Jet Black w/Premium Cloth/Leatherette Seat Trim, 4-Wheel Disc Brakes, 6 Speakers, ABS brakes, Air Conditioning, AM/FM radio: SiriusXM, Brake assist, CD player, Delay-off headlights, Dual front impact airbags, Dual front side impact airbags, Electronic Stability Control, Emergency communication system, Four wheel independent suspension, Front anti-roll bar, Fully automatic headlights, Heated door mirrors, Knee airbag, MP3 decoder, Occupant sensing airbag, Overhead airbag, Panic alarm, Power driver seat, Power steering, Power windows, Premium audio system: MyLink, Premium Cloth Seats, Radio data system, Radio: Chevrolet MyLink Touch, Rear anti-roll bar, Rear side impact airbag, Rear window defroster, Security system, SiriusXM Satellite Radio, Speed control, Speed-sensing steering, Steering wheel mounted audio controls, Telescoping steering wheel, Traction control, Turn signal indicator mirrors, Variably intermittent wipers. Reviews: * Owners frequently praise Malibu's smooth and adequate performance, the potent and quiet punch from the turbo engine, good fuel mileage, a nicely-trimmed cabin, a well-sorted ride and handling equation, plenty of on-board storage, and adequate room in most directions in both seating rows. The Pioneer stereo system is a common praise point, too, as is the quiet ride. Source: autoTRADER.ca Financing available. Give us a call (506-454-2886) drop by, or visit our website to book a test drive. www.frederictonvw.com. Ask about our "OUT OF TOWN BUYER'S PROGRAM". 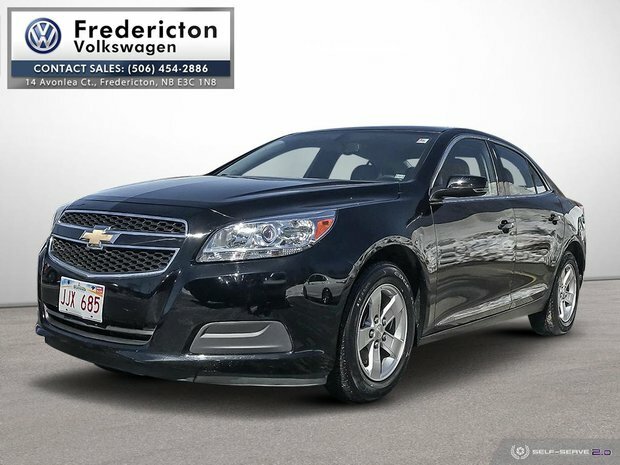 Want to try the 2013 Chevrolet Malibu 1LT?